Do you have questions about our Link Solar racking, or questions about solar in general? Give us a call at 1-800-472-1142. Link Solar’s ABS double cable entry gland can be used to pass PV wire and other cable through a surface, into a motorhome or boat. These are ideal for securely routing PV wire through the rooftop of an RV. The PG13.5 cable glands work with our MC4 PV wire or any other cable with a diameter in the range of 6-11mm. 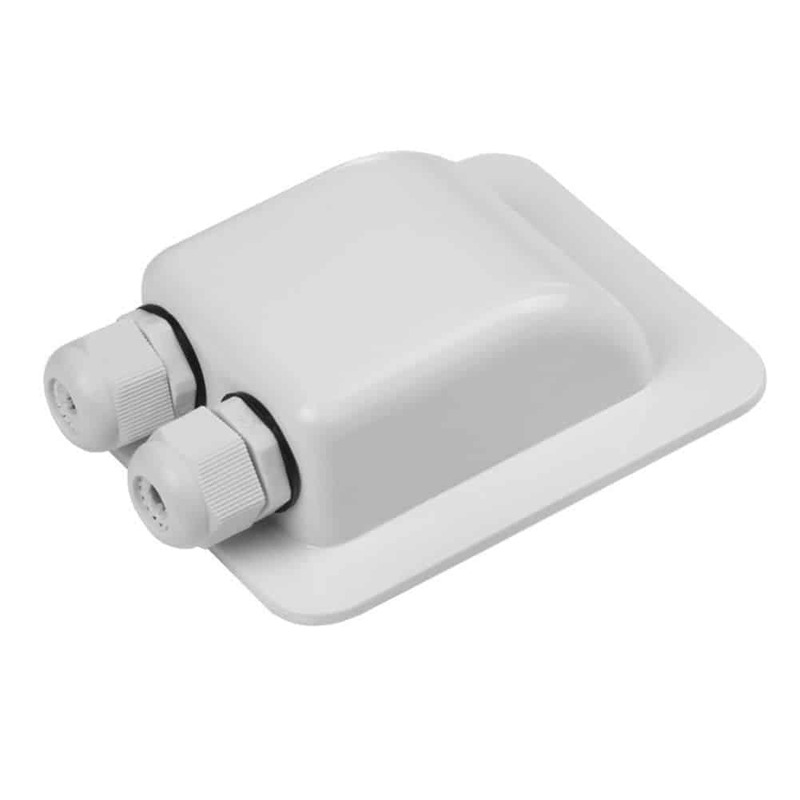 These are easy to install while still offering protection from leaks and are a great addition to any RV or marine system.